Sure, there are other Winterhold mods, but I didn’t like any of the ones I saw. Why add MORE USELESS RUINS that just take up space??? It really drives me eff-ing crazy. I mean, it’s one thing if you’re showing it as a historical archaeological site, but The Great Collapse was 200 YEARS AGO, so how about we actually RESTORE the City already! This mod seeks to make Winterhold not the great city it once was, but the new city it can be. 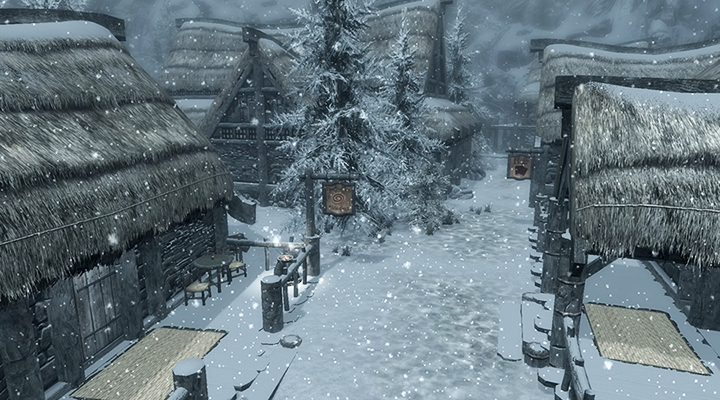 It began as a very simple mod, named “Winterhold Rebuilt,” to replace the ruined houses with new ones and merchants. Then Quaxe made a mod with same name that did same things, so I changed mine to “Winterhold Restored” as I added more touches. I’ve been working on this mod for several years now on and off (at least 4, maybe even 6), and actually scrapped it 3x and started over. Finally decided to research some of the actual history of Winterhold (which I found really interesting!) and incorporate some of that into the mod… somehow. So that’s for the future. ﻿- New custom signs too! 2) Protective stone wall on the cliff side to keep out that frigid wind! ﻿- There might be some misc. crates and a sac right where I put a table and chairs => Disable them. Any others I don’t know. 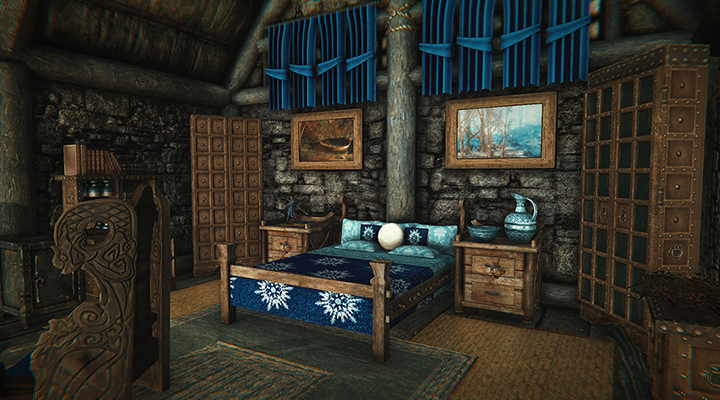 ﻿- May get some random CTD on the lower floor of the Player Cabin, near the crafting tables. ﻿ ﻿Sorry, but I HAVE NO IDEA WHY OR HOW TO FIX IT. ﻿- If you have trouble activating the bed, just put the cursor on the bed frame. ﻿- SSEEdit show no errors, but Boss/Loot report shows “5 deleted Navmeshes that can’t be undeleted. PREVIOUS POST Previous post: Can anyone share the CangLoong City mod?